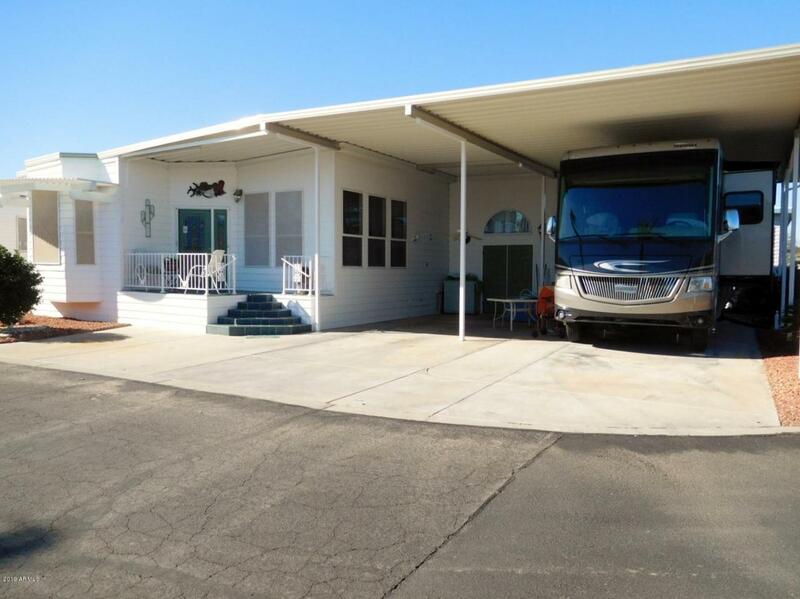 Welcome home to this beautiful AZ Home with large RV space to accommodate the largest motor homes. This property sits on a corner for easy maneuverabilty of the RV. 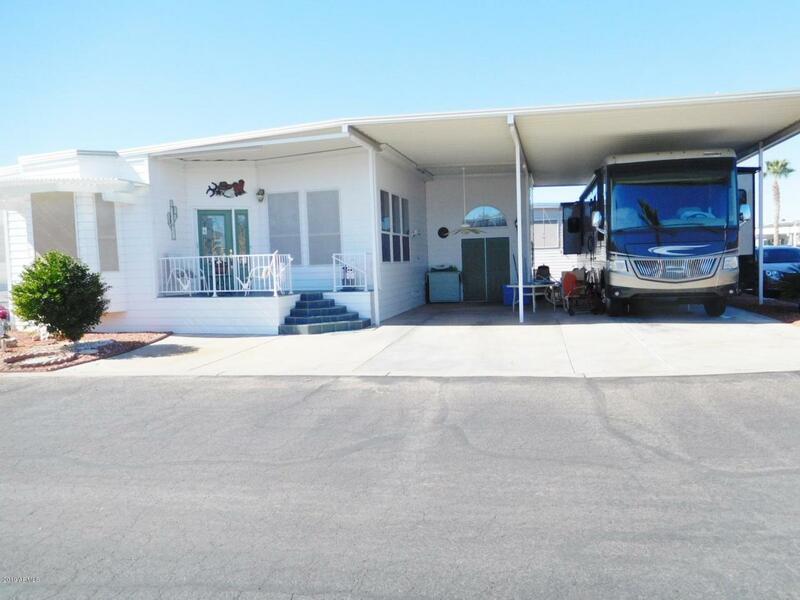 The RV is completely covered with plenty of parking and outdoor shed. 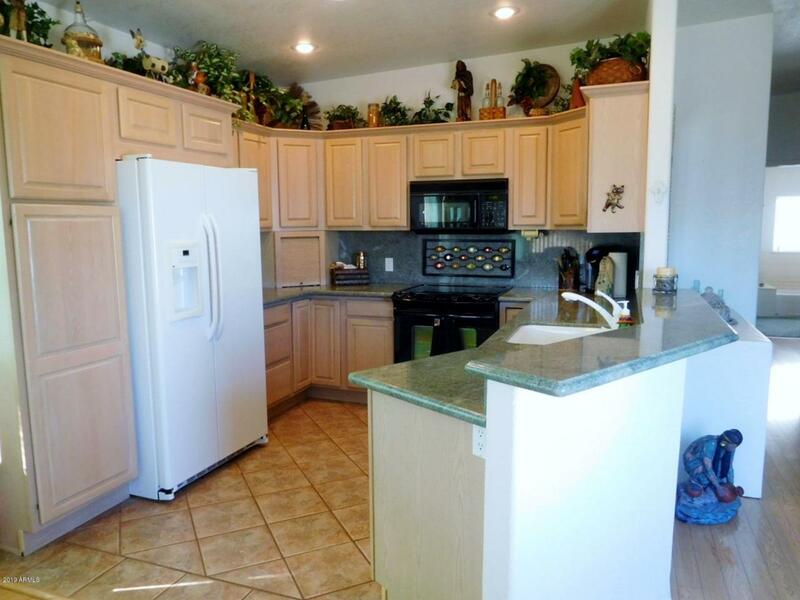 The home boasts plenty of space with large kitchen with upgraded granite and appliances. Bay window is light and bright for dining. Living room ceilings are high with plenty of living space and large TV. The bedroom will allow for a king size bed with very large walk-in closet. The large bathroom has double sinks, updated countertops, bathtub, and walk-in shower. The laundry is full size that is indoors for convenience. This property comes mostly furnished. 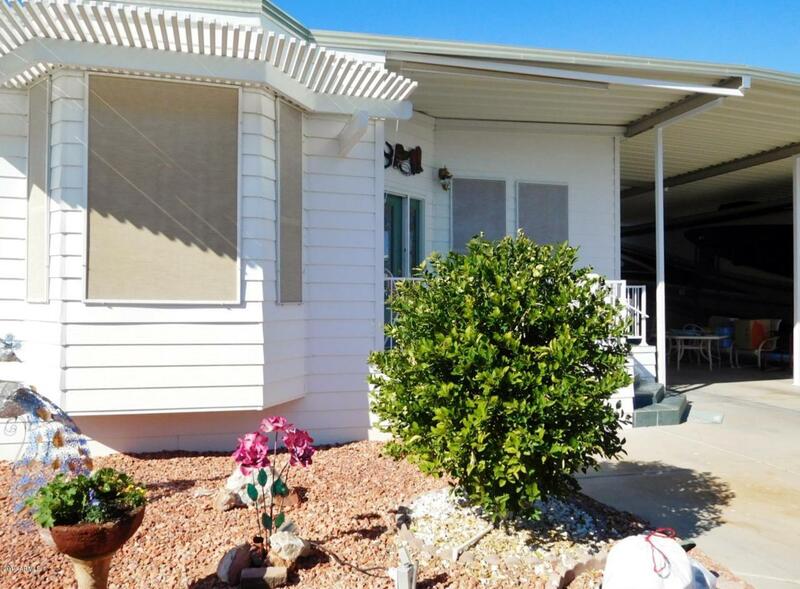 Rarely does a property come along with an almost 3700 sq/ft lot and spacious RV parking!! Listing courtesy of Surprise Realty.